We are a leading Manufacturer of hook on metal ceiling, lay in tile, open cell ceiling, linear tiles metal ceilings, metal ceiling tiles and clip in metal ceiling tiles from Noida, India. We show our valued patrons with extreme quality range of Hook on Metal Ceiling, Metal Ceiling Systems, Metal Lay-In Tiles, Metal Clip-In Tiles, Metal Lay In Tiles. Metal Clip In Tiles. It is known for smooth texture and excellent finish; these metal ceilings are designed by using the best quality metal in sync with the market norms. 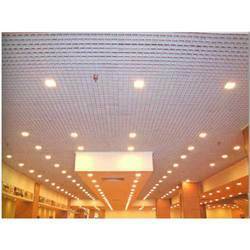 These metal ceilings are available in diverse specifications to fulfill the exact needs of our clients. Our association ranked ourselves as a retailer & supplier of Lay in Tile, Fiber Cement Tiles. As per the needs of our clients, we offer these lay in tiles in different sizes & specifications. 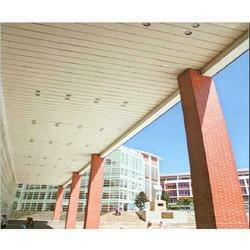 The offered tiles are extensively used for ceiling decoration purpose. These lay in tiles are designed by using excellent quality material and latest technology at vendor’s manufacturing unit. that is designed by vendor’s team of experts by using high grade material as per the set industry norms. These cell ceilings are available in various sizes for fulfill the different choices of our clients. 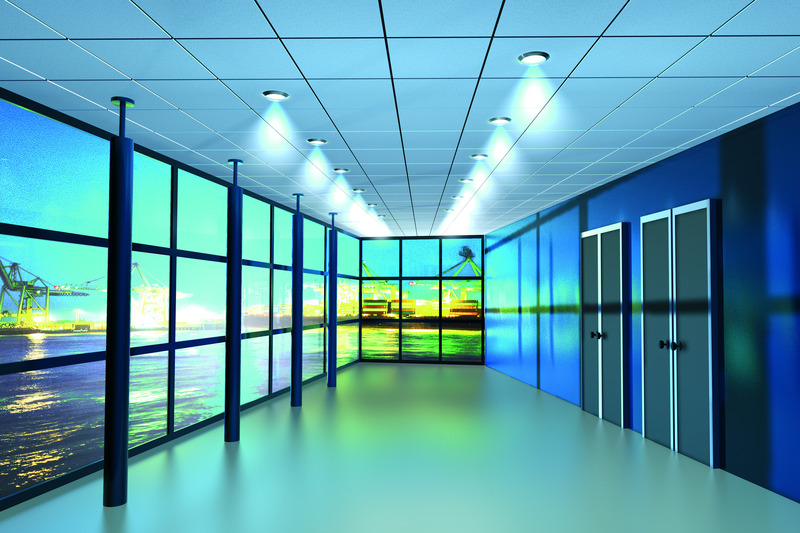 We offer these exclusive cell ceilings at affordable rates to the clients. Our company has established itself as a leading manufacturer, distributor and supplier of superior quality Linear Tiles Metal Ceilings in the market at present. They are manufactured from durable metal with both smooth and textured surfaces available. These tiles are perfect for commercial kitchens, food processing plants, healthcare and education facilities, marine applications, high-humidity climates and clean rooms. We always ensure the on-time delivery of all of our products. Metal Ceiling Tiles are made of either steel or aluminium and offer great functionality and durability.Metal Ceiling Tiles have been used in construction for thousands of years. These tiles have numerous benefits as compared to plaster ceilings, when it comes to appearance, durability and versatility. Twenty Three years ago, we pioneered suspended metal ceilings. We’ve been hard at work ever since, developing products to meet the demands of innovative architects and designers. We’ve crafted a comprehensive range of Metal Ceilings that excel in design and performance, including Linear, Open Plenum, Planks and Baffles. Each is available in a variety of styles, colours, and finishes, guaranteeing that no matter your vision, we’ve got the look you’re after. Just dream it up. We’ll be ready. Adds Strength to the structure: Because they are made of metal, these ceiling tiles are impervious to many of the factors that would be damaging to a normal plaster ceiling. Metal Ceiling Tiles do not rot, crack or absorb moisture and are a solid means of adding strength to a building. Resistant to Moisture: A major disadvantage of plasters ceilings is their weakness when it comes to moisture. Accumulated water or condensation can severely damage plaster ceilings. This damage can only be rectified with costly repairs, or in some cases, reconstruction. Metal Ceiling Tiles are impervious to moisture, which adds to their long-lasting qualities. Resistant to Cracks and Damage: Unlike plaster ceilings that can crack or wrap with time and other factors such as moisture, a metal ceiling retains its shape and beauty of ages. These tiles are also resistant to peeling, unlike plaster ceilings. Once you install Metal Ceiling Tiles in your home or office, you do not have to worry about upkeep or repairs for a very long time. Available in Many Styles and Finishes: Metal Ceiling Tiles are available in many finishes such as steel, copper, brass, chrome and aluminium. You can also purchase them in variety of effects such as bare, polished or powder coated. Can be Painted to Match any Décor: Metal Ceiling Tiles have the great advantage that they can be finished to suit any existing décor. You can even paint over them to suit the colours and ambience in your home or office. 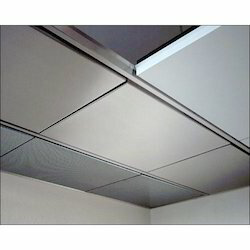 This makes Metal Ceiling Tiles very versatile choices for any project. Has Superior Fire and Moisture Resistance Properties: Metal Ceiling Tiles are resistant to mold and mildew, which can cause severe problems in a building’s structure. Because they are made of metal, these tiles also have higher resistance to fire, making them safer. 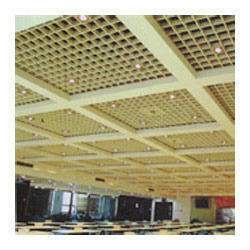 With a capability of our skilled workers, we are providing a wide assortment of Clip in Metal Ceiling Tiles. It is manufactured utilizing quality approved gypsum; these ceiling tiles are available in several specifications as per the necessities of clients. These broadly demanded because of its features like heat resistance & durable finish. 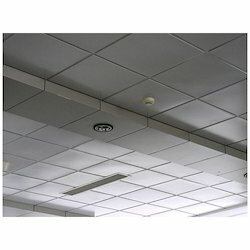 We offer these ceiling tiles at the reasonable price to the clients. Being one of the emerging names in the industry market, we are providing our patrons with terrific quality Linear Panels. It is manufactured utilizing quality approved material; these panels are available in several specifications as per the necessities of clients. These broadly demanded because of its features like heat resistance & shock resistance. We offer these panels at reasonable price to the clients. We are one of the trusted names enraged in offering superior quality Grid Metal Ceiling that is available in various designs, sizes and patterns as per the varied needs of the clients. It is designed by our vendors' using superior quality raw material and modern techniques as per the set industry norms. 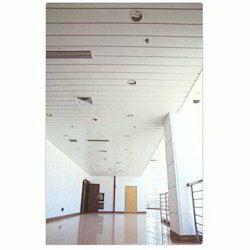 Totally customer based company; we are involved in presenting Grille Ceiling. Available in diverse sizes, finishes and designs, these grille ceilings are designed by vendor’s highly experienced experts from superior grade material according with the market norms. 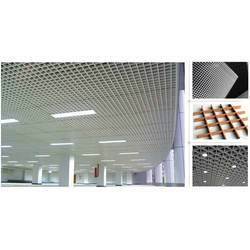 Our clients can avail these grille ceilings from us at the reasonable price.